Dyslexia is a fairly common disorder -- so much so, in fact, that people often wonder if they have dyslexia. Expect that you have it? Studies have indicated that one in five people has dyslexia -- so if you have suspicians, it may be helpful to test yourself. After all, it's vital to be aware if you have a problem. Man undiagnosed dyslexics go through life worrying that they are unintelligent, when in reality they just have a very specific learning disability and are otherwise highly intelligent. Wonder if you or your child is dyslexic? Here are some indicators. Though it's best diagnosed by a professional, doing so is often costly. That said, there are a few easy indicators for identifying a dyslexia in you or your child. You can also use this Free Online Dyslexia Test. First, look for the usual signs -- the most dominant is reversing letters and words like "saw" and "was." For children, new guidelines say that after a year of reading/writing instruction, if a student is still reversing letters and words, that may be indicative of dyslexia. Temperament is also important; often, dyslexics are in a "dyslexic fog," a step behind everyone else as they take longer to process information. On the flipside, dyslexics can and usually are still sociable, perceptive, and witty. Many dyslexics are traveling through life thinking they are dumb, when in fact, they are highly intelligent. If you're questioning whether or not your child has dyslexia, consider that a dyslexic person’s world is in sometimes motion. 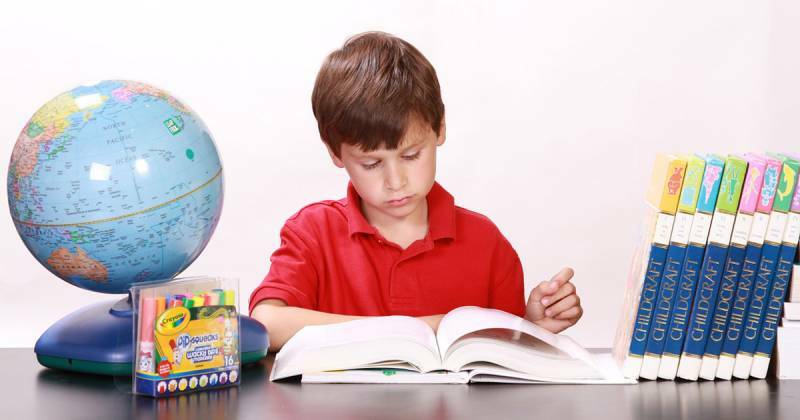 As such, dyslexic children are often active, and subsequently misdiagnosed as having ADD or ADHD. People with dyslexia will also often have odd mannerisms or routines that worry their loved ones. For example, a dyslexic student may stop at every doorway before walking across it. Since their world is in constant motion, it can be scary for them to be in a "moving" doorway. Students who turn their head or their paper to write are an instant red flag for dyslexia. Some dyslexic students have messy handwriting, bear down hard when writing, and hold pencils incorrectly. Listening to a student read is also an easy way of spotting dyslexia, as they tend to read by guessing at words instead of sounding them out and miss almost all of the sight words. They also, for example, read "for" instead of "from," and their reading is laborious because the words don’t hold still for them. This causes them to fatigue easily and often complain of headaches or stomach aches. Dyslexics also crave routine, as they can navigate the world more easily in this fashion. Dyslexia occurs in one in five people, and can be diagnosed by a medical professional. Reversing words, messy handwriting, reliance on routines, and laborious reading are indicators of dyslexia. Most schools only provide more academic work, when proper treatment can get kids reading and writing like normal. That said, while there are common indicators, these are certainly not true for everyone. Dyslexia is a blanket term that simply describes a difficulty in language processing. It does not define an exact condition or even a cause. So just remember: these are simply generalities, and will not be experienced by all dyslexics. There are so many indicators of dyslexia, but the sad truth is that schools are usually only able to offer academic support to help students instead of different techniques. Of course, the last thing dyslexic students need is additional academic work to frustrate and fatigue. However, with proper treatment, dyslexics can be reading, writing, and functioning in society. Isn’t that the best plan of all?